Planning your special day should be a fun activity, and our wedding centerpiece ideas will make decorating your reception tables as easy as can be! 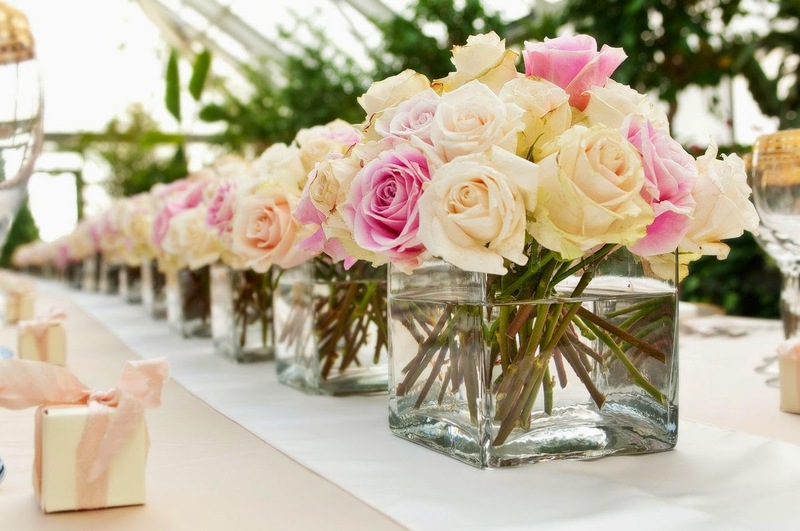 Wedding reception centerpieces should be beautiful, but they don't have to be difficult. There's no need to become a stressed out Bridezilla that drives her bridesmaids crazy, so we've provided information that will assist you every step of the way. Flowers and candles have always been popular choices for wedding centerpieces, but did you know that foods or wedding favors may be all that you need to decorate your reception tables? Whatever your wedding theme or wedding color palette may be, these centerpiece ideas will come in handy as you work out the details of your wedding and reception. 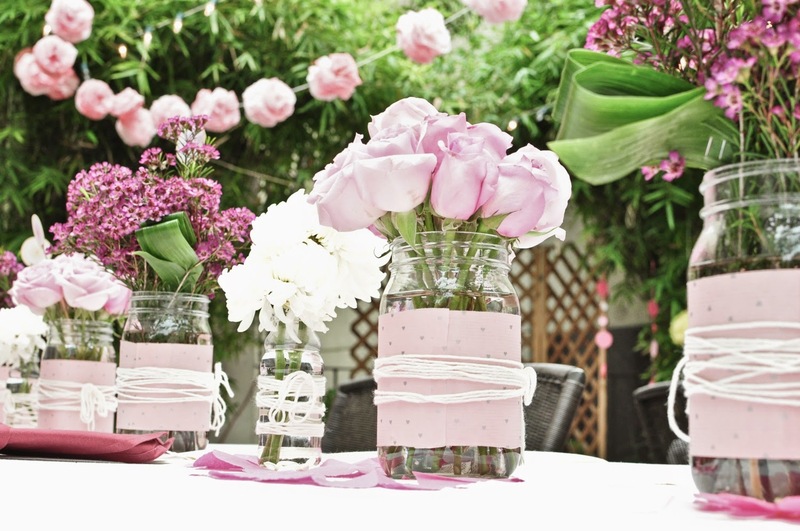 Whether your wedding reception is outdoors or indoors, you can easily decide upon the centerpieces that add to the overall atmosphere you'd like to create. If you're a do-it-yourself type of person, you can easily make any of the centerpieces described on our site all by yourself. However, if you prefer to let others do all the work, that's fine too. You can still browse through all of our photos and ideas to see if anything strikes you! 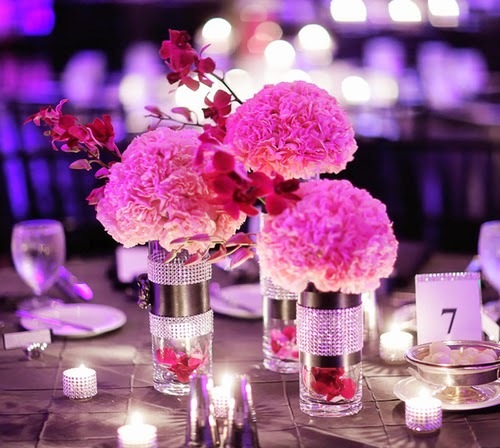 You can create your centerpieces by placing large inverted clear glass bowls in the center of each table. Fill each bowl with round glass tree bulbs. A mixture of red, green, and gold ornaments in a variety of sizes will look great! Plain and mirrored ornaments should suffice, but you can often find ones that have been covered in glitter. Feel free to add whatever other colors you choose-silver and blue. 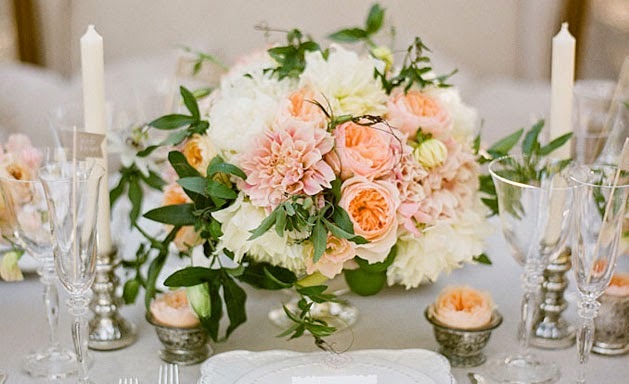 Now it's time for a few wedding table centerpieces ideas to complete the project. Surround each bowlful of ornaments with strips of evergreen branches. Bend the branches into circles so they can envelope each bowl. Add a few bunches of red holly berries and one or two pinecones on each side to complete the centerpiece. It's up to you if you would prefer to use live or artificial plants. Remind your wedding guests before the night is through that they can each choose an ornament or two to take home with them as a souvenir. If you would like the ornaments to act as your only wedding favors, fill the bowls with ornaments that have been personalized with the bride and groom's name and the wedding date!